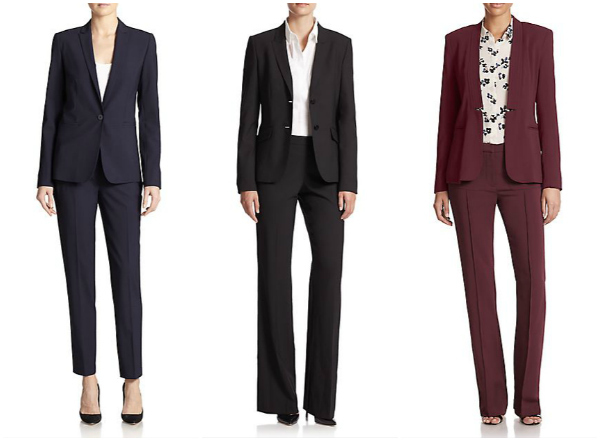 Here is a great chance to scoop up stylish suits or other designer items at Saks right now. We have three suits above for you to look sharp in whether you are dressing for the office or other venues. Keep the sleekness flow with matching color pumps. May I suggest these sophisticated pairs under $100? This smart briefcase completes your business ensemble. Use promotional code THANKYOU at checkout (through 10/18). This sitewide sale also includes already discounted items.